Hello lovely readers! I am Gemma, I’m a makeup hoarder who’s obsessed with Glitter, 80’s films, travelling and writing. 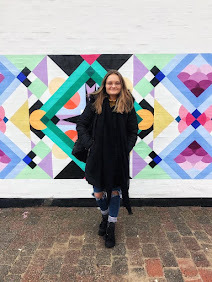 I blog over at Lipsticks and Lashes, which is made up of the following the ingredients: Beauty, Lifestyle, Fashion, travel and Books, with a little bit of anything else I may like to share! When the gorgeous Hannah asked if I would like to do a guest post on her blog, I jumped at the chance. Do you ever go through those phases where you are completely drawn to a certain colour? 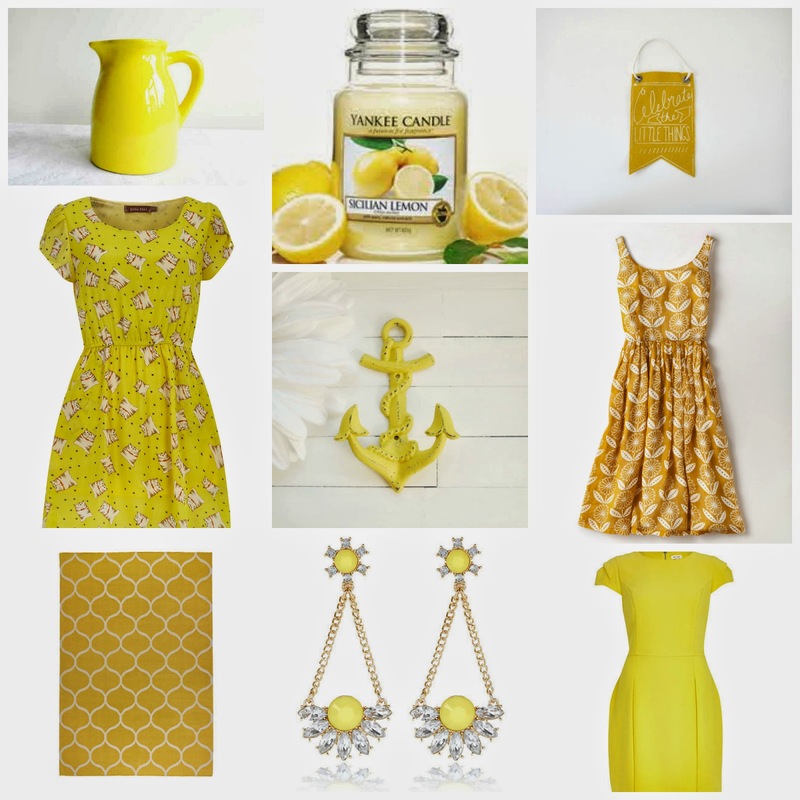 My current colour crush is for anything yellow! I love it, I’m not sure why, maybe because of the sunshine we’ve been experiencing lately as it’s such a fun summery colour. So here is what is on my all things yellow wish list! I love all these pieces and may have to restrain myself from going on a spending spree on pay day! Over the winter months I am terrible for only wearing black, its super slimming right? However in the summer I like to brighten things up and go from one extreme to the other as I am a fan of bright colours. I have had my eye on the Sun Flower Shift Dress from Boden for a while, I think it would be perfect for a summer’s day BBQ. I also am massively crushing on the shift dress from River Island, paired with the earrings I think it would be a great going out look. I am currently looking to move so I have been imagining what my new place would look like and I’m not particularly a neutral colour schemes kind of girl I am all for pops of colour, and living near the sea I think the anchor wall hook is gorgeous! Oh and I must mention the candle, I love Yankee Candles and the smell of the Sicilian Lemon is just to die for, such a gorgeous scent!